H&R Sport Springs for Nissan Leaf S, SV, SL | H&R Special Springs, LP. The Nissan Leaf is an affordable EV, with comfort and convenience. H&R ride development engineers designed an all-new sport spring set for the Leaf. With enhanced driving dynamics and a reduced fender well gap, H&R Sport Springs transform the Leaf into a sleek cruiser. 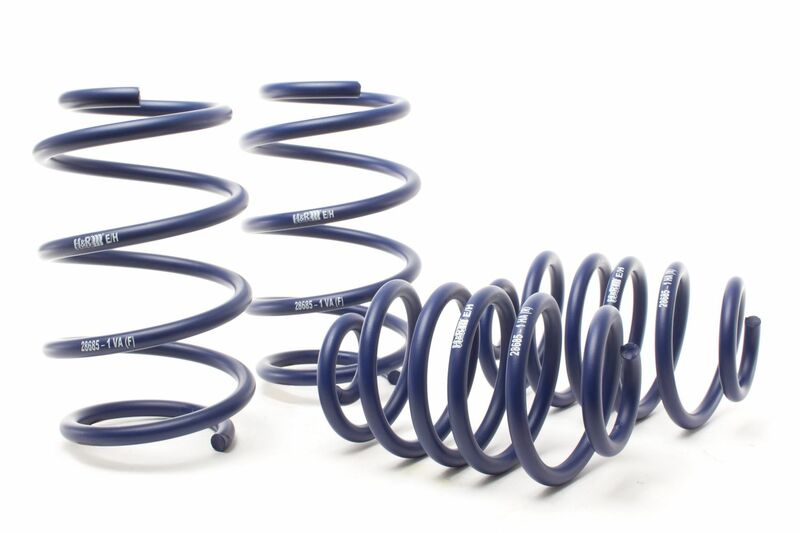 H&R Sport Springs (part # 28685-1) for the 2018-19 Leaf lower approximately 1.2” front and rear. Lowering the vehicle’s center of gravity improves handling and reduces the profile to improve energy efficiency. Fabelhaft! Like all H&R’s products, H&R Sport Springs are 100% made in Germany and use only the finest quality materials and precision manufacturing to maximize service life, and are premium epoxy powder coated for miles of smiles. H&R Sport Springs come with a limited lifetime warranty. H&R Special Springs is a German based suspension company that has been built on a foundation of superior quality, true performance, and the best customer service. H&R has established a proven heritage of unsurpassed industry, respect and customer confidence, all of which give H&R the definitive edge in suspension tuning and design. All H&R products are crafted in Germany and exceed ISO 9001 quality assurance standards. H&R maintains a North American facility located in Bellingham, Washington, where additional testing and research are conducted. For more information, visit www.hrsprings.com and www.trakplus.com or call (888) 827-8881.